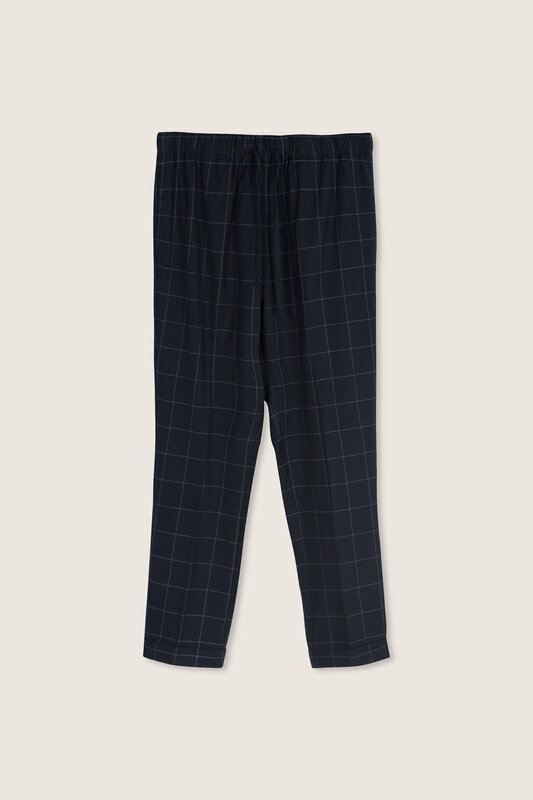 These lightweight pants feature a slim fit silhouette with front pleats and cuffs for a relaxed yet tailored look. 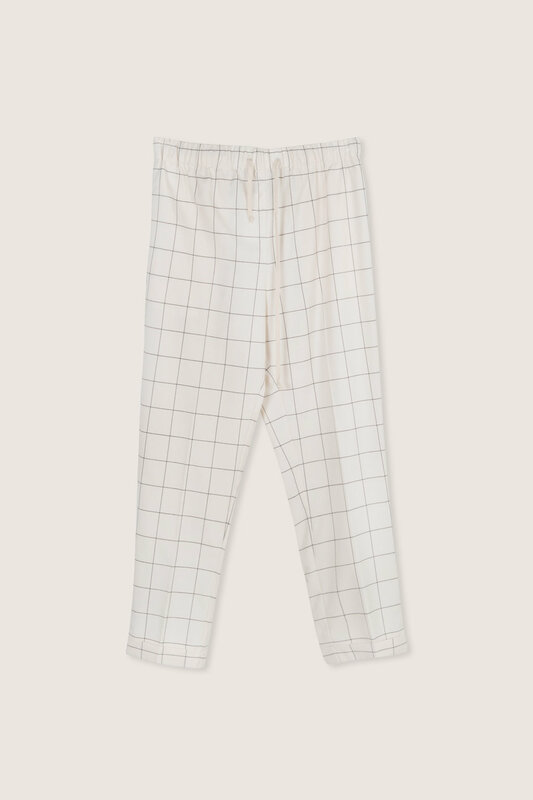 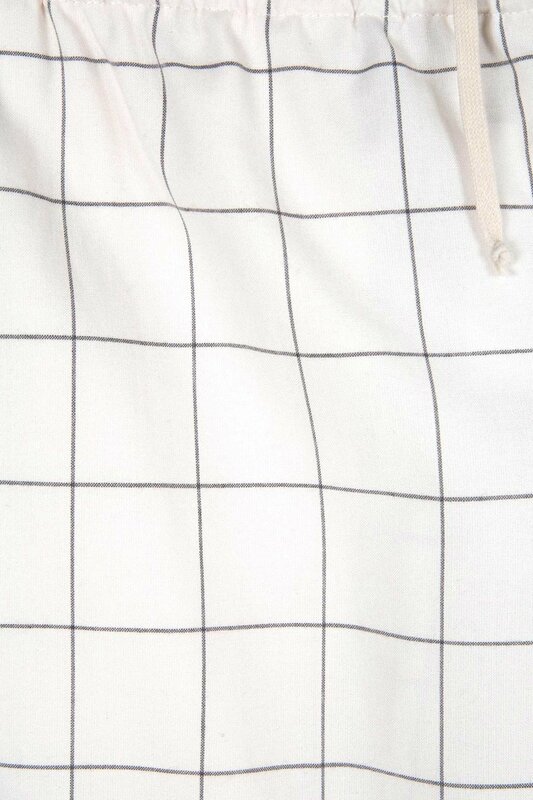 Featuring a square grid print for a modern and minimal look, these trousers will pair perfectly with your wardrobe's basics. 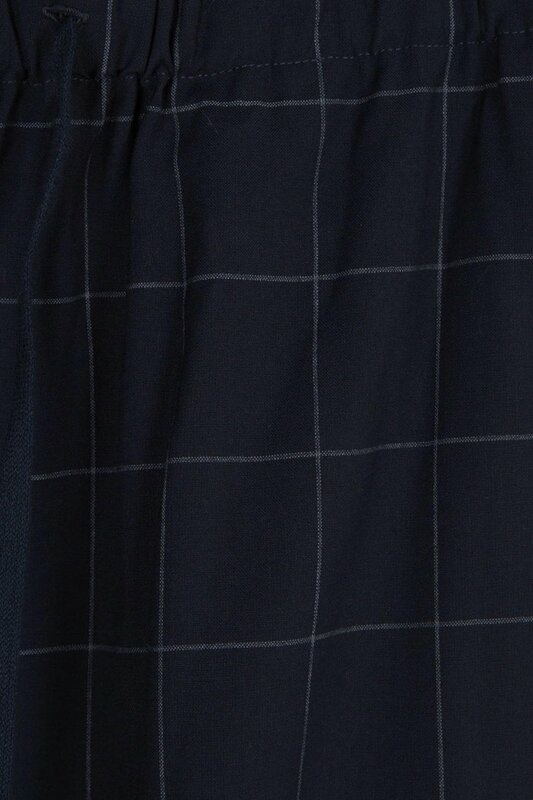 The pull-on waist features an adjustable drawstring tie for optimal fit and comfort. 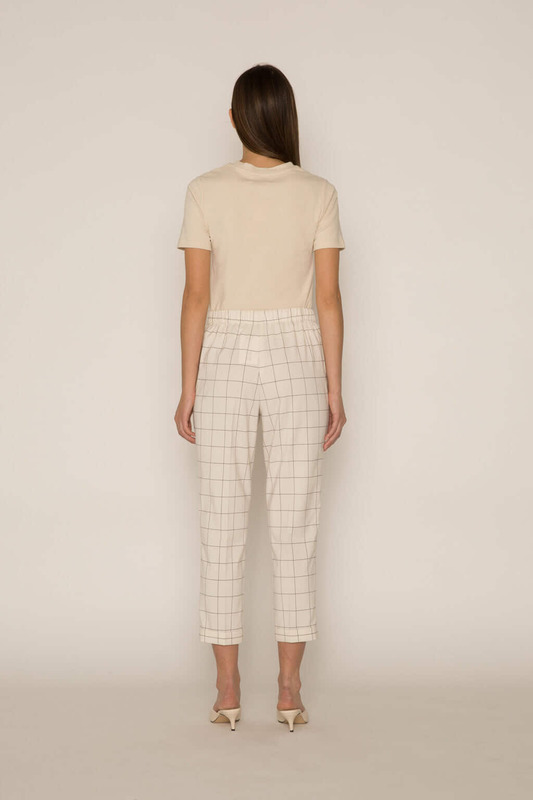 Pair with a t-shirt and sneakers for casually chic look.